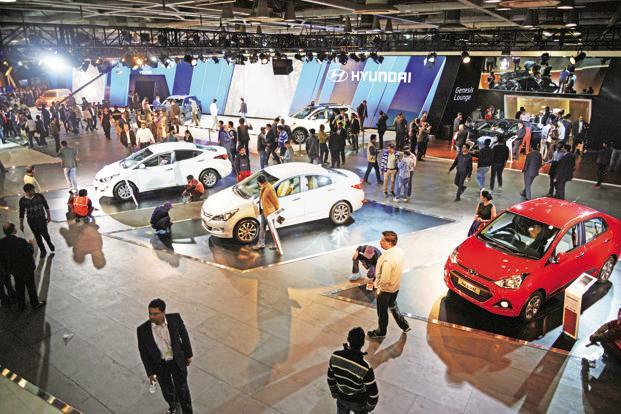 The Auto Expo has announced to line up some of the new motor vehicle launches this year. If you are desperate to know about the show, you have landed the right page. Let’s open the pages of the Auto Expo book step by step. Aimed to keep up the wind of cleaner and greener India, Auto Expo 2018 has come up with the theme of “Co-Create, Co-Exist and Celebrate” The major focus of the expo is on electric vehicles, cleaner automobile solutions and hybrid technologies that can directly contribute towards the eco-friendly environment and Green India. Due to the high number of visitors, the visiting duration of the expo is extended for a day longer and the good thing is that it is open for the visitors now till 14th February at the India Expo Mart, Greater Noida. Book the tickets for Auto Expo online by visiting BookMyShow.com. You can also find tickets at metro stations across Delhi NCR and at the box office at Indian Expo Mart. How to reach Auto Expo 2018? Looking out for the best way to reach the Auto Expo 2018 easily? Faridabad car rental services is the most effortless and impervious method to enjoy traveling. Booking a Faridabad taxi service for Auto Expo, is the easiest and most convenient way to follow.